I don't understand why anyone would build a $600, 18-megapixel APS-C CMOS sensor camera, and market it for selfies. We have a selfie camera. It's called our smartphone. Unlike the co-announced Canon G5X, which looks like a truly interesting and capable camera, the M10 is a watered-down mirrorless body aimed at consumers who seem quite happy with their iPhones. 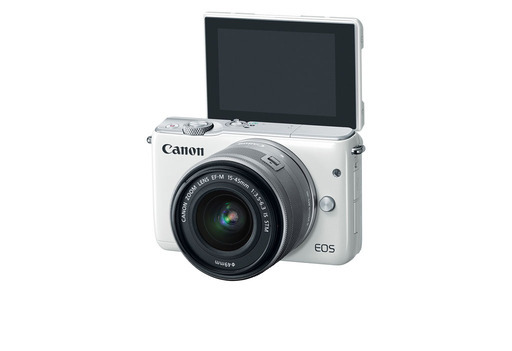 The Canon EOS M10 in selfie mode. If you're going to compete in the mirrorless space that's dominated by Sony, Olympus, Panasonic, and Samsung, you have to come in stronger than, "puts imaging power and convenience in the hands of the social media generation." Then go on to make it worse, "...sharp images that are sure to draw 'Likes'." This would be like me saying "that's dope" to my 18-year-old son. You just don't do it. I own many Canon cameras that I like and am truly tempted by the G5X. But I can tell you that the EOS M10 will not be embraced by the social media generation.